I'll be running this now as a smaller 'side-quest' on the larger Heldenhofen board that Fimm McCool is running.I believe that it will be held on Saturday and Sunday, and it should be available whenever there are enough people who want to adventure into the woods to kill a Jabberwock (permitting I'm there and not playing in another game). A Hero and retinue can be whatever you like, I'd probably recommend one champion and 3-10 henchmen. Chaotic antiheroes are more than welcome, the Jabberwock is a beast of chaos after all. Also interested in joining in. 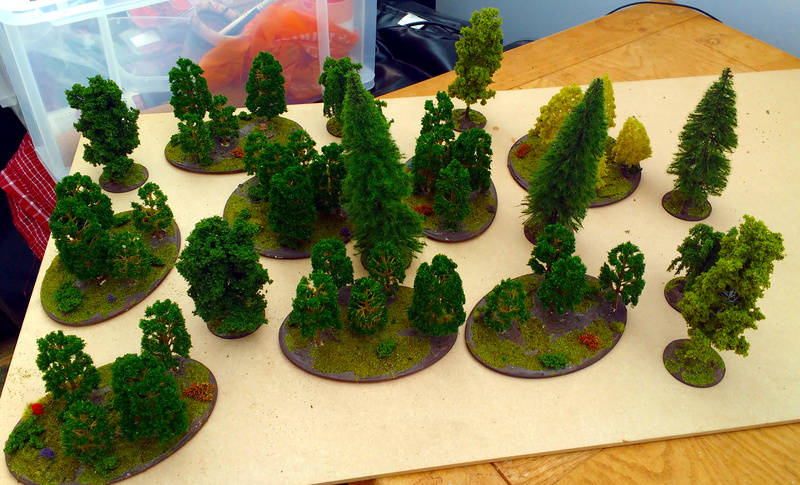 Can bring a few stands of trees to add to your wood. How many 'men' do you need in a Monster hunting band? More trees would be appreciated, the tulgier the better. As for how many 'men', hmm. The Jabberwock is a variable creature and I'll be rolling on the chaotic attribute table for him as well. He could end up being very dangerous, he could end up enormously fat, atrophied, cowardly and smelly. I'd say build for theme rather than efficacy, so I'm not putting any hard limits on anything. I'm very keen to bring a little warband for this! Please count me in! If there's room for me will get to thinking about a theme for my 'hero' and henchmen straight away. Of course, the more the merrier. Lovely idea for a short game this. I'd like to commit the ogre mercenary Uzrag Elfeater and his band of 3 henchmen to defeat the monstrous jabberwock. Originally from a small island in the black gulf Cher likes making new friends among the forces of darkness; midnight jaunts in ancient crypts and long baths in the blood of virgin maidens to retain her youth and beauty. She’s a Sagittarius. Turns out she needs a quart of jabberwocky blood for a particularly nasty ritual. With her are her faithful familiar ‘mittens’ and some disposable meat-shields, ah, loyal henchmen and women. They look very nice indeed kilgore, the jabberwock better hope he has more than a quart of blood to spare. I got the forest and the Jabberwock finished up, just need to make the cave piece now. 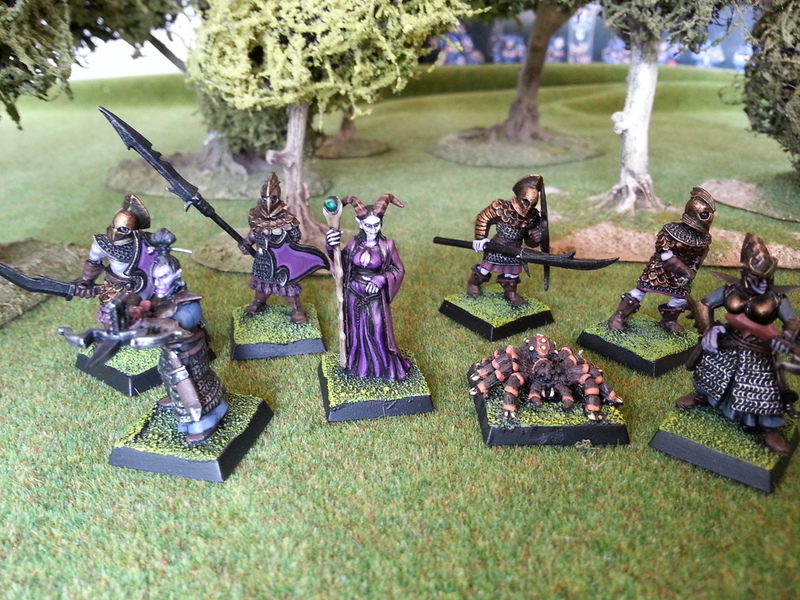 The warbands all fought amongst themselves before the Jabberwock even came out of his cave. When the Mother Jabberwock turned up as well, everything ended in bloody chaos. One Bretonnian Knight survived, if I remember correctly, but I think everyone else died to the last man.